Don’t miss out on the latest Microsoft Dynamics news and product updates. This article will give you the latest announcements and updates that have been published on PartnerSource, the latest Dynamics Learning Portal courses and the upcoming Dynamics Learning Portal events. The Certified Software Advisor Agreement, Guides, and Fee Schedule have been updated – take a look at the latest information. The information about Mobile Apps for Microsoft Dynamics AX has been updated. This page provides an overview of the scenarios and Mobile apps that are currently available. See the letter Kirill Tatarinov wrote following this announcement. ​The information about the Directions Partner Conferences 2015 has been updated. 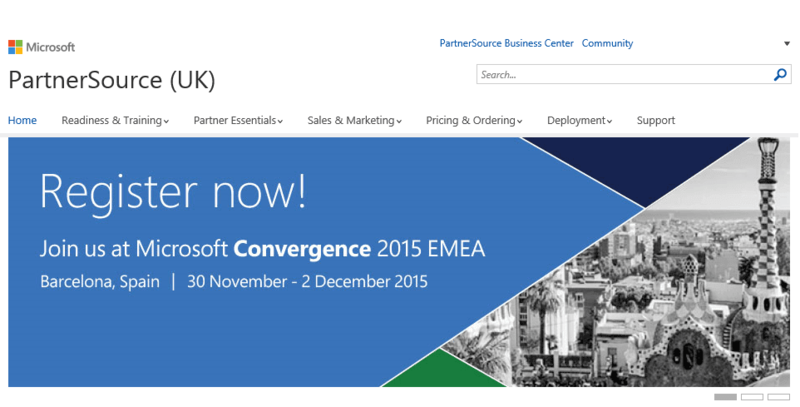 Convergence 2015 EMEA Registration Now Open! If you’re an independent consultant who doesn’t have access to PartnerSource, 365 Talent Portal can provide you with free access to specialised Microsoft training and professional resources.